Giving logoed shirts is a great way to build team spirit and also say “thank you” to your employees. You’re giving your employees a gift, expanding their wardrobe closet and taking some of the hassle out of dressing for work each day, all at the same time. Plus, when you order company shirts in bulk you get huge price discounts. So you’re able to give your employees some of the nicest apparel they’ll own, maximizing the bang you get from your budget. When you give employees company apparel, you’re helping to reinforce the company’s dress code standards. Or, if you don’t have a dress code yet, giving logoed shirts to your employees is a very positive way to start that conversation. Employees will be more accepting of a dress code, and they will feel less singled out, if the company makes an investment in each of their wardrobes as the company’s guidelines are explained. Corporate apparel is a “win-win” way of displaying and advertising your company’s brand. Every employee becomes a walking micro-billboard for your company, reminding everyone they see that your company has people in the local area. Creating top of mind awareness requires many repeated exposures to your brand, which can be very expensive to do through traditional advertising. 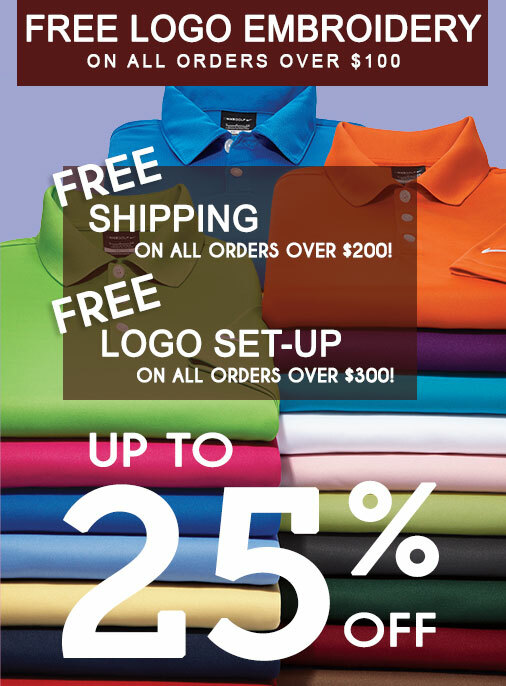 But, using high quality logoed apparel is a very economical way to help accomplish this critical marketing goal. Your customers want to be able to recognize you, and have you look professional; it’s a big part of gaining and keeping their trust. They don’t want you to all look the same, they appreciate individuality. But, by instituting a corporate apparel program, you’re giving all your employees a touch of consistency and recognition. You’re also letting your customers know that you’re proud of your brand, and that your company has the resources to invest in supporting the company’s image. When you give employees company shirts you’re generating good will within the company, and you’re also creating a tax write-off. So, not only are you buying in bulk and getting super discounted prices on a work related “uniform,” but you’re also getting a further savings at tax time. When you add it all up, a corporate apparel program is one of the most efficient ways to use company resources. See, we weren’t kidding… Corporate Apparel is good for everyone, seriously!